With the old Expanded Universe wiped clean it leaves it open for new and exciting stories to surface. 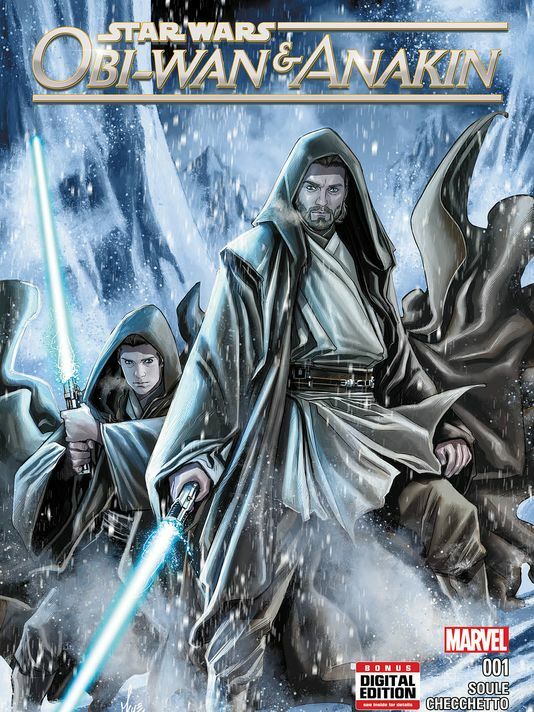 While most of the current canon has been focusing on the original trilogy and tv show in preparation for the new movie, we’re going to be jumping back to the prequels to when Obi Wan first trains the young troubled youth Anakin Skywalker. Written by Charles Soule (Star Wars: Lando) and drawn by Marco Checchetto (Star Wars: Shattered Empire), the comic is to debut in January as a 5 comic miniseries. It’s great to see the beginnings of their relationship as master and padawan. We have seen a lot their adventure when they are older on the big screen and during the Clone Wars, so it’s refreshing to see what it might have been like to train a padawan that may have been too old to begin his path as a Jedi. The new film is to be released on December 17th! This might just be my jumping on point for Marvel Star Wars. The concept sounds interesting and that artwork is beautiful!